For centuries, the Japanese had been fascinated by the symbolism of the Cherry Blossom or Sakura. They are mystified by the fact that the tree flowers bloom with extreme beauty and then, death so quickly. That is why they associate the Sakura to mortality. Many songs, both traditional and pop had been dedicated to the Cherry Blossom. 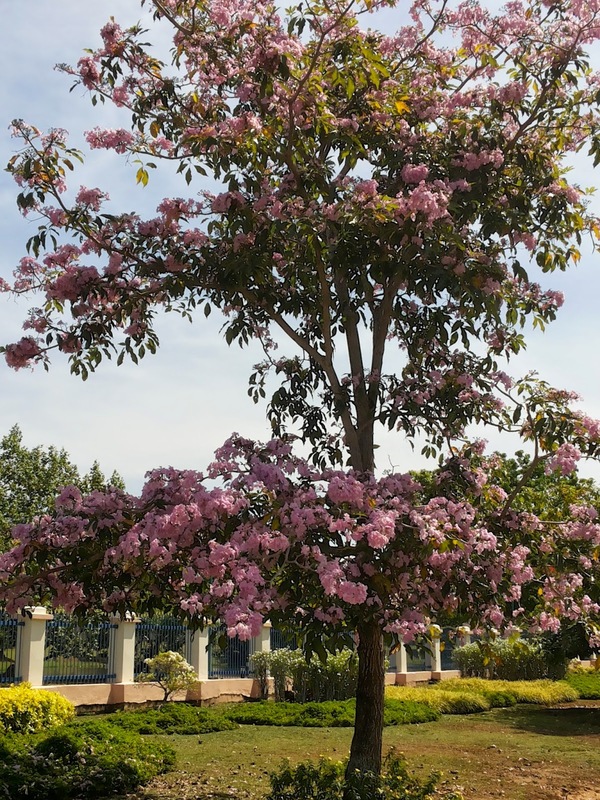 In the tropic, the closest resemblance to the Cherry Blossom is the Tabebuya. It originated from Brazil but now it is common in Southeast Asia. 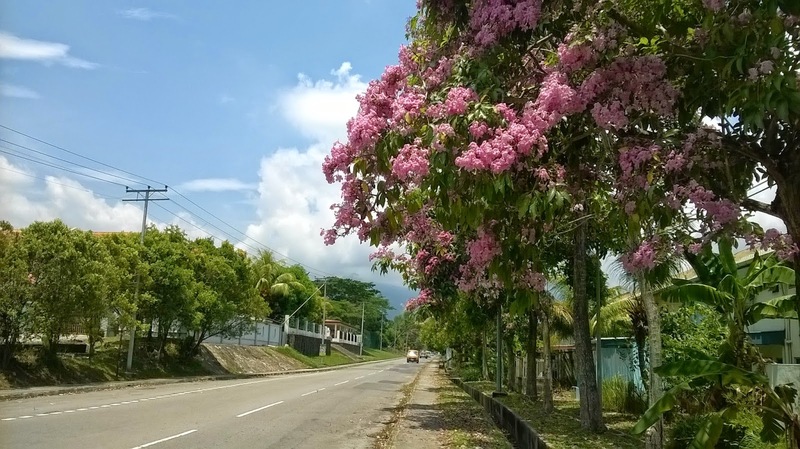 Since the western part of Borneo experience dry season from March to April, Tabebuya tends to bloom during this period. 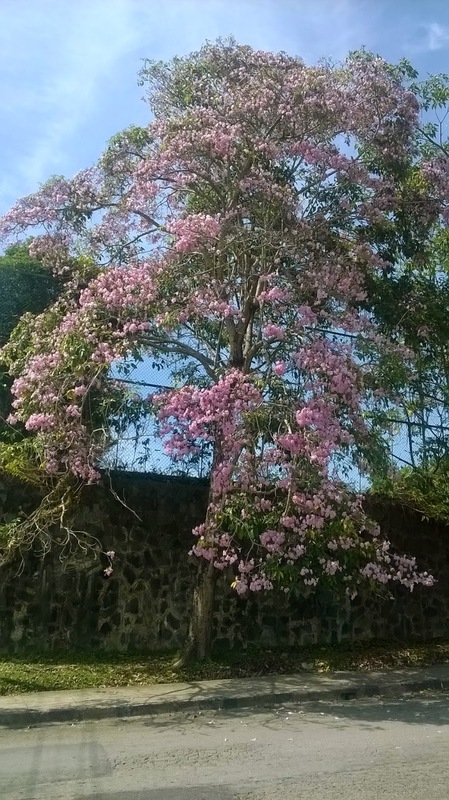 It tends to produce so much flowers during the end of the drought, and stop during the approaching wet season. 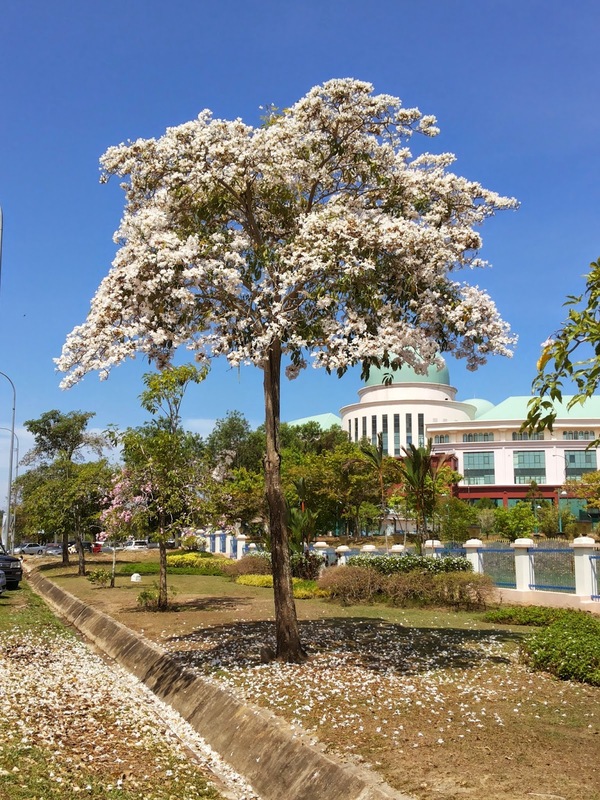 When Tabebuya blooms, its such an inspiring sight and many people will stop by to take picture of the flower's brief life; just like the Cherry Blossom. The Japanese must have brought them here...beautiful trees! Can only imagine if we can have our own autumn season.